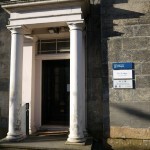 The Scottish Centre for Crime and Justice Research, in which Trafficking Culture is based, recommences its Working Lunch series of seminars next week. These are a regular opportunity, usually on Wednesdays between 12.30 and 2pm, at the Meeting Room, Ivy Lodge, 63 Gibson Street, Glasgow. 12 June People with Learning Disabilities and the Criminal Justice System (Jayne Porter, Autism Network Scotland) Jayne Porter is Network Adviser at the Autism Network Scotland, a government-funded organisation which supports the development of a better understanding of autism (see: www.autismworkscotland.org.uk). Jayne is currently developing an autism specific Criminal Justice Network across Scotland and is keen to develop links with SCCJR and explore the possibility of future research collaborations. 26 June Violence in Young Offender Institutions for Young Women (Dr Anke Neuber, University of Kassel) SCCJR Visiting Fellow, Dr Anke Neuber, will be discussing her ongoing qualitative longitudinal study of young women in Young Offenders Institutions in Germany. Tea, coffee and biscuits are provided. All are welcome, however, the Meeting Room has a limited capacity, and therefore we ask potential attendees to contact the convenor, Dr Susan Batchelor (susan.batchelor@glasgow.ac.uk), in advance of the Working Lunch to ensure their place at the seminar.